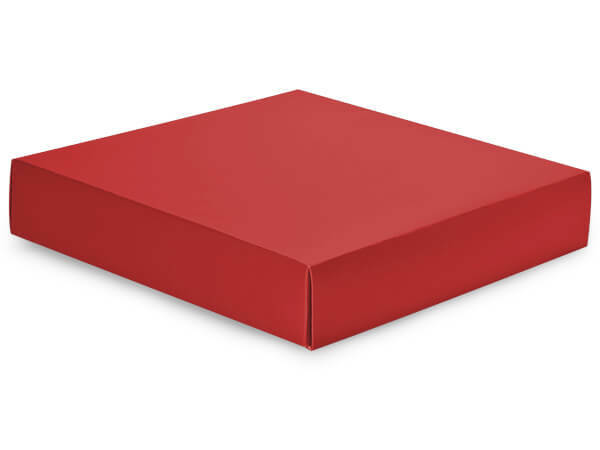 Matte Red Box Lids, 10x10x2"
Boxes sold separately. Packed flat. Fold & pinch lock construction. Mix & match colors! These gift & gourmet boxes and lids are sold separately so you can mix and match! Stored flat. The bottom base is an automatic construction. The lids are a pinch lock construction. All boxes are matte with a clean white interior. Use a food safe barrier like food grade tissue or cello for food packaging. All Read Our Blog About These "Pretty Gift Boxes"